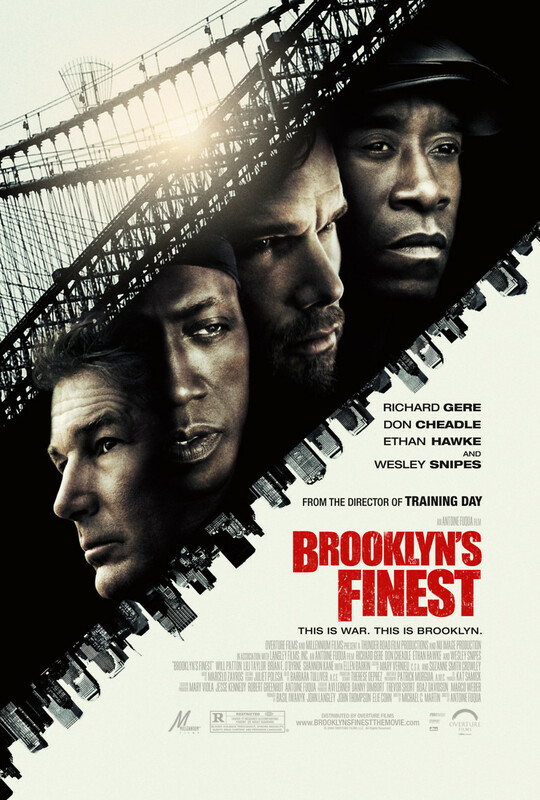 Brooklyn's Finest DVD and Blu-ray release date was set for July 6, 2010. Tango, Sal, and Eddie are three Brooklyn based police officers who believe that they have earned their way out of their current position. However, due to the corruption in the precinct, it is unlikely that they’ll ever leave their current positions in an honest way. The three cops have different assignments they must work on in order to be awarded with the thing that they most want be it retirements with benefits, a desk job, or even a home.